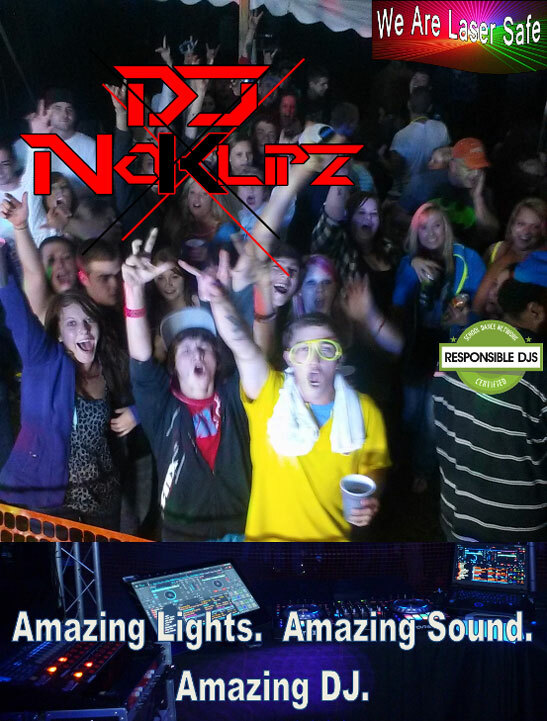 DJ NoKlipz always engages with your group, encouraging everyone to participate and have a good time. We offer professional lighting and full, rich, room filling sound that ensures a memorable experience and an amazing time for all ages. With an extensive play list of well over 15 million songs and growing, we can always meet your musical needs. Pre Gig meetings are both welcomed and encouraged. All our music is licensed for promotional use, no need to worry about shutdowns or fines. 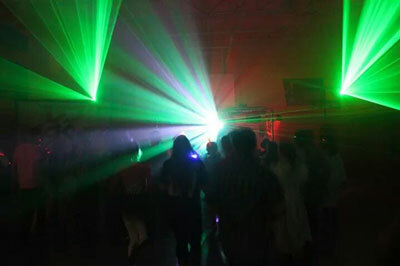 We are a professional laser safe DJ service, using quality equipment and music. More importantly we carry 2 million dollars of liability insurance, with an accident rider to protect your guests and venue. What happens when you don't hire a professional DJ. Have you noticed a decline in the number of people attending your functions, sticking to the wall or leaving the dance early? When asked why, the simple answer directly from the students was the poor choice in entertainment. They didn't have fun and found the dance boring. The DJ didn't play the songs the patrons wanted to dance to, or maybe the DJ lacks the proper experience to read and engage a crowd to really get them moving. Our DJ has the experience to read and engage a crowd to really get them moving. We understand budget is sometimes an issue. Choosing a discount DJ may mean the DJ is unskilled, untrained, plays music illegally and/or is uninsured. Without the talents, skills & repertoire needed to entertain a large room of people of all ages, they end up just playing music without the knowledge to keep the crowd entertained. If you wish not to have explicit music at your event, we have you covered. We can offer music that is censored and we get the National Do Not Play Lists and the Top 30 School Safe Songs weekly. We Understand DJ's are in the business of showing all your guests a great time and providing your them with an amazing dance floor experience. 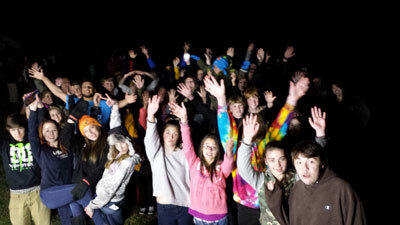 Furthermore, a DJ should be up and moving, interacting with the crowd, insuring a good time. If that's what you're looking for then you've found your DJ! Mash-ups & The Hottest Remixes! 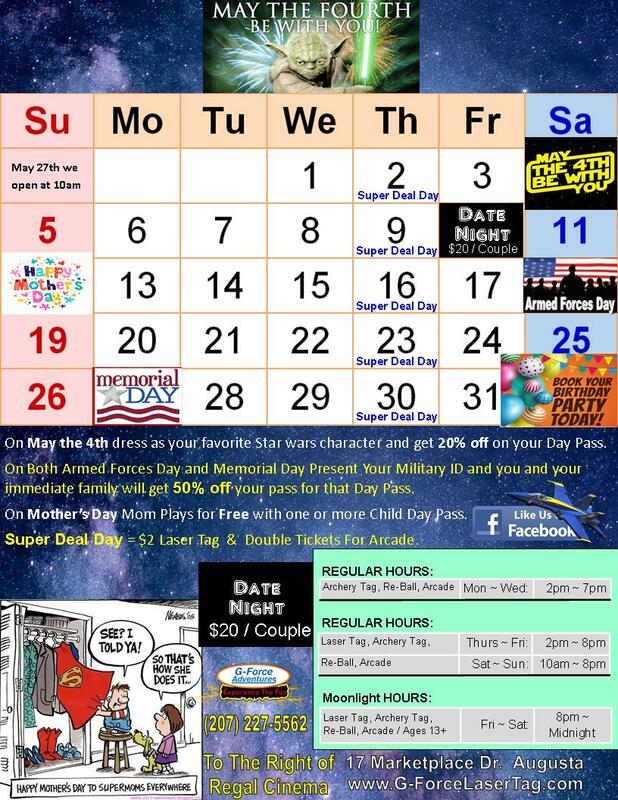 We invest hours in preparation for you event. 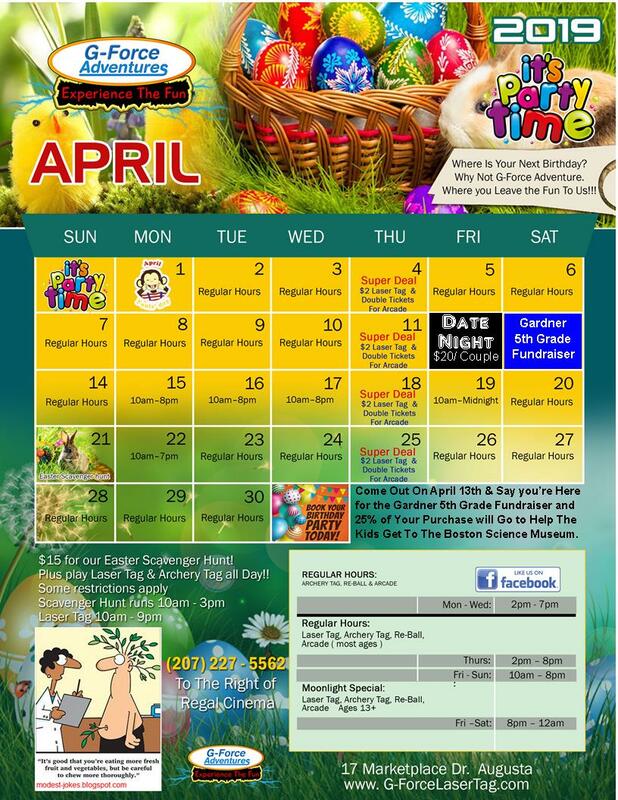 We tailor the event to your needs Personal planning meeting, unlimited consultations. 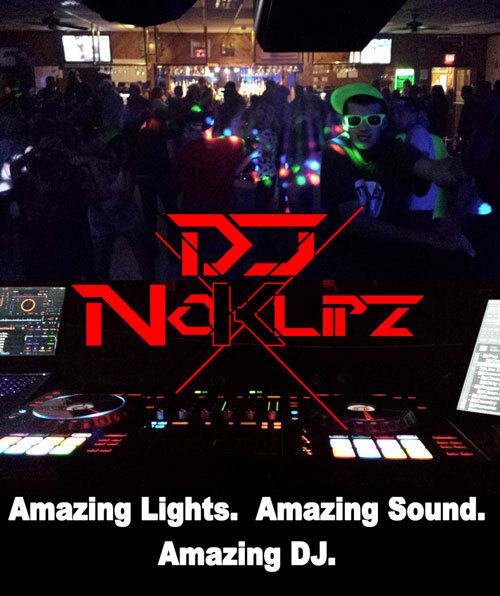 DJ NoKlipz/G-Force Adventures is always dedicated to your event. We are committed to excellent customer service and will always listen to your needs. Over 15 million legally licensed songs for promotional use and growing daily. Some of our library is only available Via the Internet. Liability insurance for your protection (2 Million Dollars) plus an accident rider. All our equipment is insured. Upon request an insurance certificate will be provided for your event.